Blessed to Give is a family foundation that began with a desire to respond to the emergency needs of an orphanage we visited in Kibera Slums, Nairobi, while we were in Kenya in 2010.
ost somewhere deep in Africa’s largest slum, amid the darkness that lingered between the mud and corrugated iron shack overhead, a local twenty year old girl had just taken in about fifty children off the street. Out of her poverty, she had saved up enough to shelter them and feed them a daily mug of porridge. Out of her education to the age of sixteen, she attempted to teach them.  Despite having so extremely little, she made a conscious decision to share her gifts and bless others. Overnight, she had become a mother to these little ones, all under the age of twelve, scarred from losing their parents to AIDS, post-electoral violence and domestic abuse. These children did not deserve to be abandoned, hungry or surrounded by misery any more than we deserved to be loved, provided for, and surrounded by opportunity. Over the next few years, from 2010 to 2015, we were able to raise funds for them to be fed, nurtured and educated in a small school building, withdrawn from the main slum area. Their struggles are far from over, but they are safer, healthier, cared for, loved, prayed for, and better equipped to climb the next hurdles they face. ur own story begins with our maternal grandparents arriving in France as Sicilian immigrants with nothing but a suitcase and a newborn, while our paternal grandparents emigrated from East Africa to the United Kingdom, under identical circumstances when our Dad was a child. As first generation immigrants, our grandparents instilled in our parents a spirit of hard work and thankfulness, a love of education, and an attitude that makes the most of opportunities. Our parents came from very humble beginnings, and have raised us to believe that God’s purpose when He blessed us was that we should be a blessing to others. ur Mum is a school teacher and our Dad spends his days fighting for social justice and equity, particularly access to health and education for the world’s poorest people. They have been married for 25 years, and have two daughters. Amelia, married to Mathieu, has a Master of Theology and Biblical Studies from the University of St Andrews in Scotland, and works full-time for the Foundation, while Georgia is working hard to be able to study medicine. Amelia and Georgia were children themselves aged just 15 and 8 when they were captivated by the children in Kibera Slums, and moved to action— we still wholeheartedly believe that you don’t have to be rich, old and powerful to share your gifts and influence change in the world. Our parents contributed some of their savings to the Foundation, and we have also fundraised. We believe that everyone is uniquely gifted to contribute to a better world, and we are excited to see more young people engaged in social change.